You can also browse, search for books and place orders through our online store, located at store.booksonbeechwood.ca. 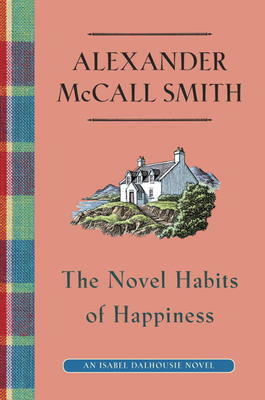 Alexander McCall Smith is well-loved for his series of books, starting with the No. 1 Ladies Detective Agency series set in Africa, and followed by the Isabel Dalhousie series, the Portuguese Irregular Verbs, the Scotland Street series and the Corduroy Mansions series. Just out is a new Isabel Dalhousie story. She is the philosopher who lives in Edinburgh with her husband, Jamie, and young son, Charlie. Isabel spends part of her time editing The Review of Applied Ethics, with articles from all over the world. As well as that she is often approached by friends who have a mystery they can’t solve right in Edinburgh. Isabel can’t resist these problems and this book tells the story of a small boy who insists he had an earlier life and knows exactly what island off the coast of Scotland was his home. Isabel meets his mother, and also makes the trip to the island with her own family. She gently uncovers the mystery and we get to spend time in kindly, sociable (and beautiful) Scotland, with a writer, unlike many today, who watches for the upbeat and leaves us happy. McCall Smith is professor emeritus of medical law at the University of Edinburgh. He was born in what is now known as Zimbabwe and taught law at the University of Botswana. He now lives in Scotland.